Dennis Reef joined Mellen, Smith & Pivoz PLC in 2002. He has both a Bachelor’s degree of Business Administration from Western Michigan University and a Masters in Accountancy (MSPA) from Walsh College. Dennis uses an amount of confidence that clients seek when it comes to their accounting and tax situations. His specific areas of expertise include compilation and reviews, quality control, auditing and tax. 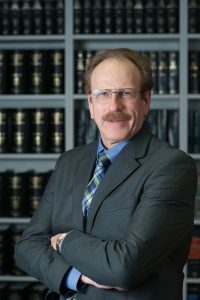 Dennis has assisted numerous types of clients with efficient audit techniques to work with client audit committees for timely execution and delivery of client engagements. Dennis is a member of the American Institute of CPAs, Michigan Association of CPAs, Royal Oak Chamber of Commerce, Chairman of the Accounting and Auditing Standards Task Force and Volunteer Treasurer of the local Boy Scouts of Michigan. Small business ownership; advising business owners on how to manage their accounting and tax situations. Providing an amount of confidence that client’s seek when it comes to their accounting and tax situations. Assuring them that these specifics are under control, allowing the freedom and concentration needed to continue to grow their business. Mr. Reef has taught numerous educational courses for the Michigan Association of Certified Public Accountants (MICPA) involving auditing standards, compilation and review standards, and financial reporting frameworks. He is regularly consulted by MICPA members on these subjects as well as quality control issues of CPA firms.